Foo Fighters are starting their tour in Edmonton, AB and will go through November with many shows in Europe as promised. Foo Fighters have been rocking since 1994 and have delivered to fans ever since. Four of its albums have won Grammy Awards for Best Rock Album. 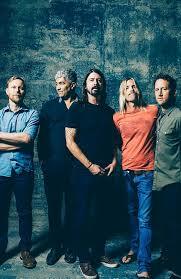 Get your Foo Fighters tickets today!